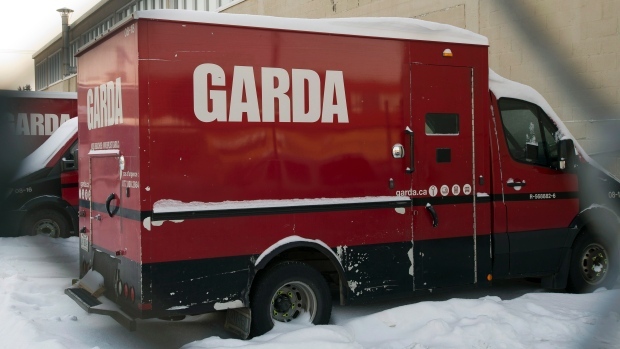 Montreal police say five men have been arrested in connection with several armoured-car heists in the area dating back to 1999. They are to be arraigned Wednesday on various charges, including armed robbery, conspiracy, kidnapping, possession of stolen goods and break and enter. The men had been the subject of Canada-wide arrest warrants. The arrests were made today, with one man captured in Ottawa and another in the Toronto area. Police say the first of the thefts occurred in September 1999, with the most recent taking place last January. The men are aged between 47 and 64. Montreal police headed the investigation and were helped by colleagues in nearby Longueuil and Ottawa as well as by Quebec provincial police and Peel regional police.